"Okie dokie!" My, what a terrific expression! 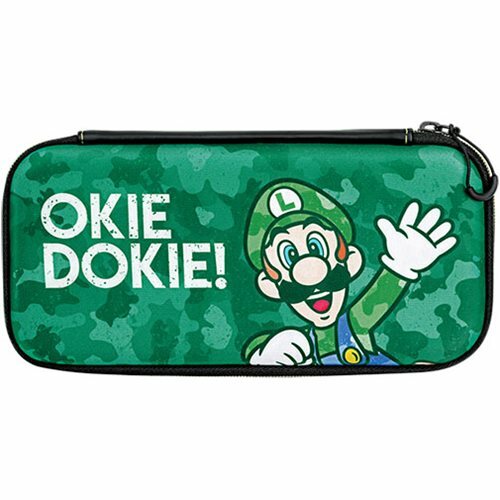 When you travel, take along the essentials with this very cool Nintendo Switch Camo Super Mario Bros Yoshi Slim Travel Case. Featuring a sleek profile for easy carrying and a cool character camouflage design, this case will serve you well. It stores the Switch console, games, and various accessories (all sold separately) and features a console lift strap for easy one-handed removal!